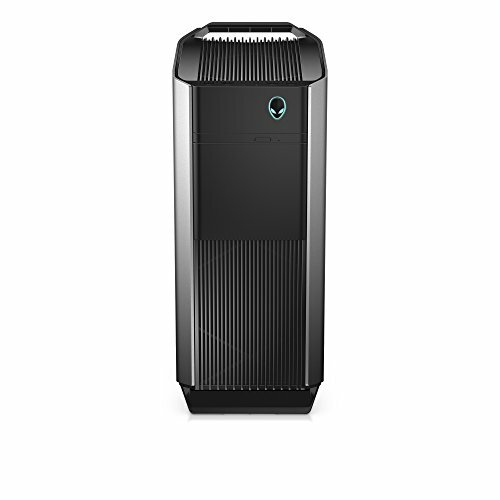 Compatible OS : Must be connected by a cable to a PC running Windows 10 Fall Creators Update. Inside-out cameras : Eliminate the need for external cameras and setup. 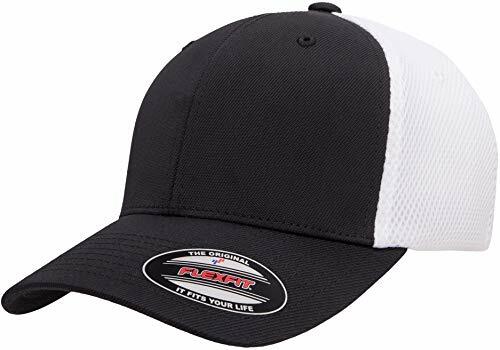 Required connectors : Features an HDMI 2.0 video output, USB 3.0, and 3.5mm audio jack.Easy to wear and take off flip-up visor : Enables convenient transition from the virtual to the real world. 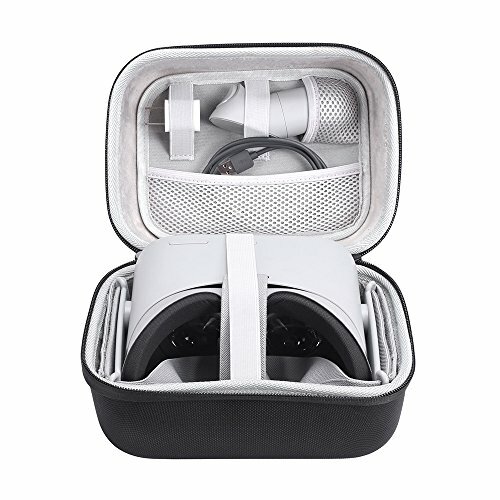 Weight-balanced, cushioned headband : Takes the pressure off your nose and cheeks and offers comfort for long-lasting VR sessions. 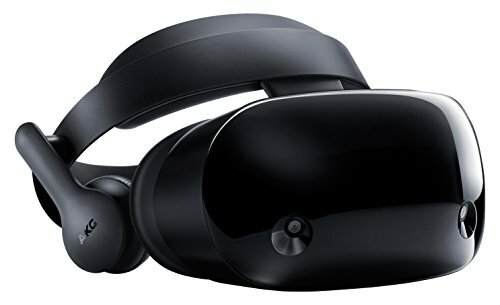 Wireless controllers: Dell Visor Controllers allow smooth movement in VR and provide haptic feedback for a more immersive experience. Features Bluetooth interface for an easy setup. Bend VR to your will :Includes a thumb stick, touchpad, trigger button, grab button, windows button, menu button, pairing button. Scale and choice Windows Mixed Reality apps and games will run on a broad range of PCs and headsets, expanding consumer choice and accelerating adoption. Pushing boundaries Windows Mixed Reality experiences allow a variety of inputs such as advanced motion controllers, gamepads, mice, keyboards, as well as the power of gaze and voice. 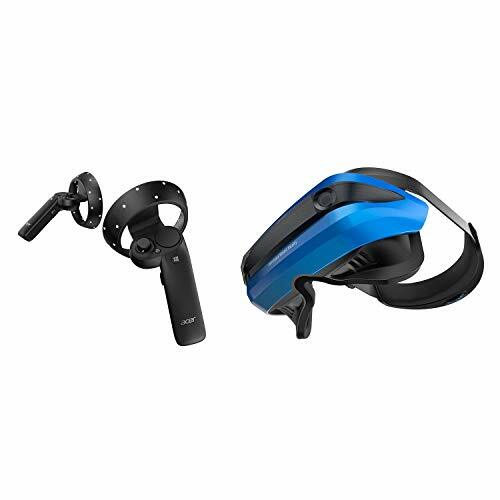 Windows Mixed Reality headsets and motion controllers give you the freedom to create the content you imagine with full rotational and positional tracking built into the headset. Exploring VR, AR, and mixed reality The path to developing is easier than you think with the Universal Windows Platform. Use a single set of APIs and a common set of skills to create apps and games. Visit the Windows Dev Center to view our documentation, download the tools, and join our community of developers. 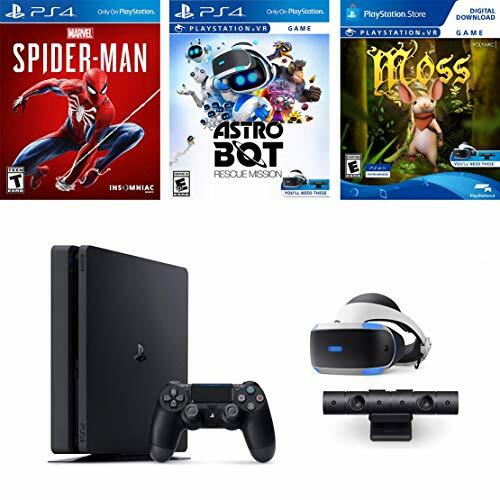 Includes: VR headset, Processor unit, VR headset connection cable, HDMI cable, USB cable, Stereo headphones, AC power cord, AC adaptor, PlayStation VR Demo Disc, PlayStation Camera, 2 PlayStation Move motion controllers, PSVR Aim Controller and PSVR Game Disc Farpoint, and Playstation 4 Pro ConsoleBrand New sealed in original box. 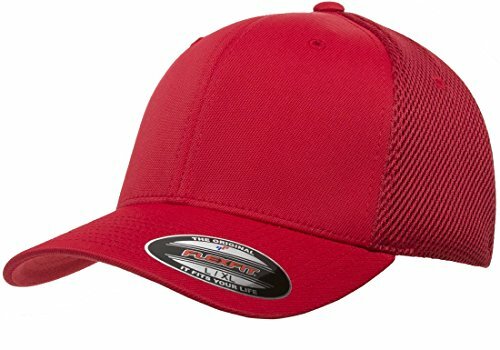 We ship From USA. 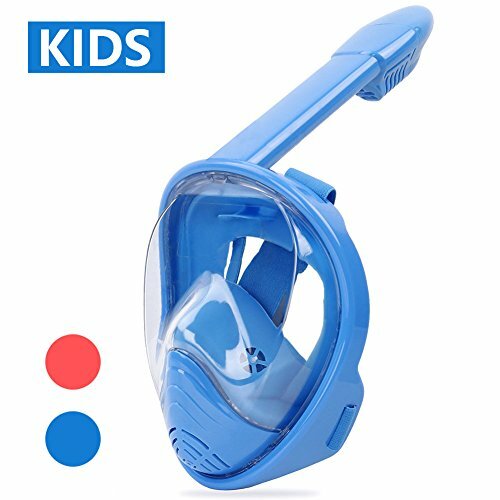 For Delivery Address Outside USA: Buyer is responsible for import Duty, VAT, TAX and Broker Fee.Brand New sealed in original box. We ship From USA. 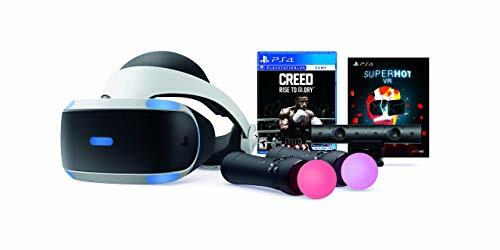 Games Come First - With gamers in mind, PlayStation delivers a new world of unexpected gaming experiences through PlayStation VR. 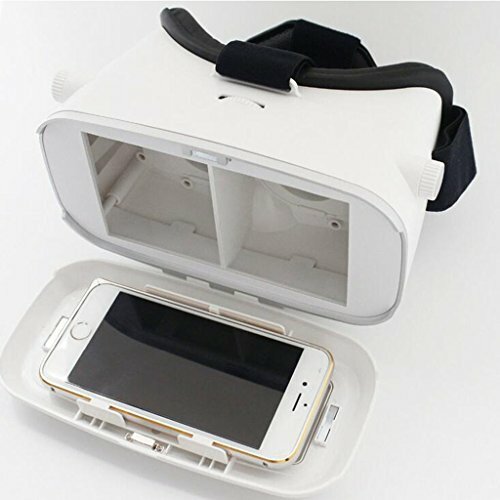 Advanced VR Display - Seamless visuals keep you connected to the virtual world through an expansive 5.7" OLED 1080p display running at up to 120 frames per second. 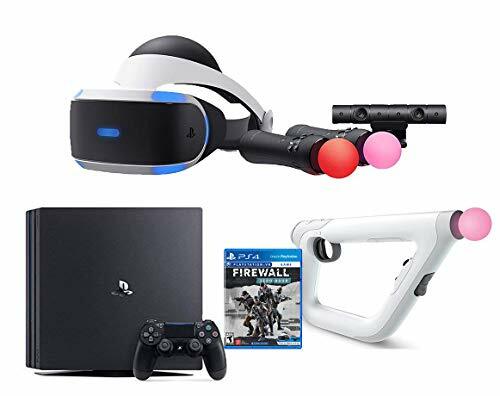 Winner of numerous VR Game of the Year awards, SUPERHOT VR is a title reimagined and redesigned from the ground up for VR and hand tracking controller. 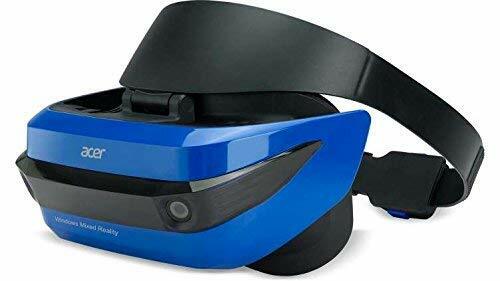 The Windows Mixed Reality Headset is comfortable and easy to adjust as you experience different apps while walking wherever you want. Free yourself from the difficulty of securing room sensors onto walls and immerse yourself in any environment with the benefit of inside-out tracking. Temporary interruptions mean that you don't have to remove the headset, just lift the visor up and engage with the real world again. 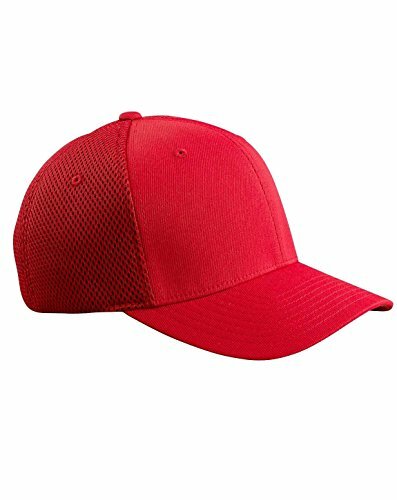 A simple adjustment of the double-padded headband ensures you have the perfect fit for your head. For a more immersive feeling freely move through your virtual environment within the Six Degrees of Freedom (6DoF) and Spatial Audio 2 . 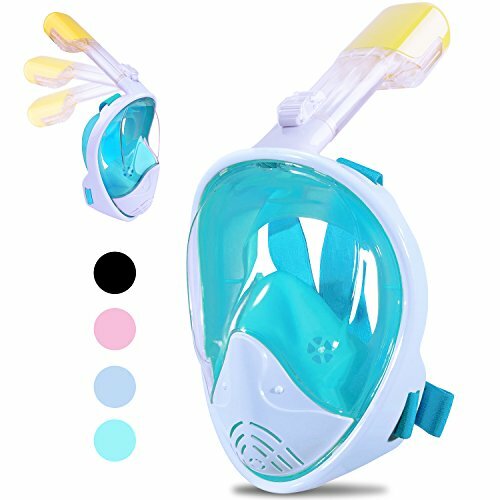 ✓ Specially designed for HTC Vive headset and HTC Vive Pro headset. 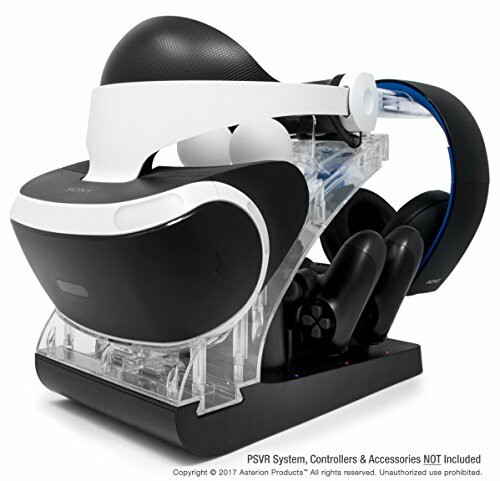 ✓ Also,VR stand fits for most VR Headsets, such as PS VR, Samsung Gear VR, Oculus Rift / Go and other VR Headset. ✓ Safe and convenient to put your VR headset on this display stand, and keep them organized and ready for play. 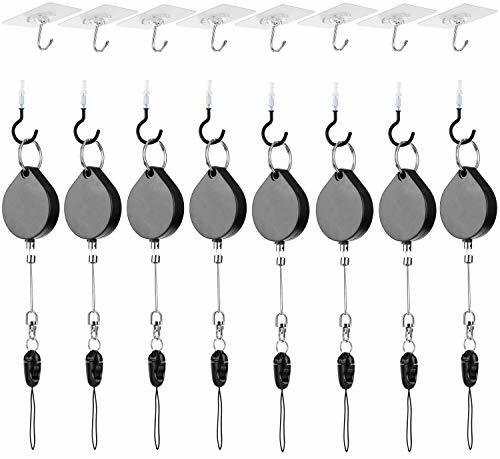 ✓ Detachable design to be stored away and re-assemble easily. 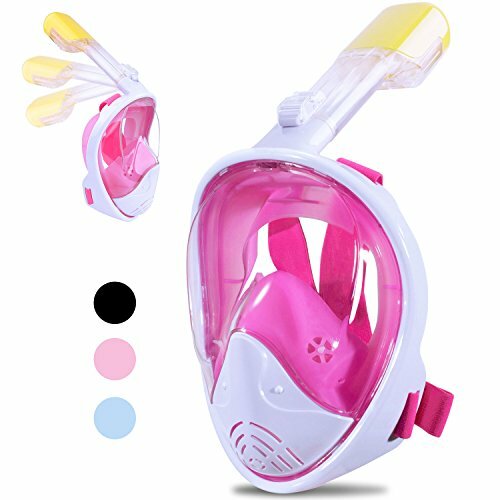 ✓【Warranty】:We warrant this device 18 MONTHS from date of the original purchase for manufacturer defects. If the device fails due to a manufacturing defect, please contact seller directly to initiate return and warranty process. 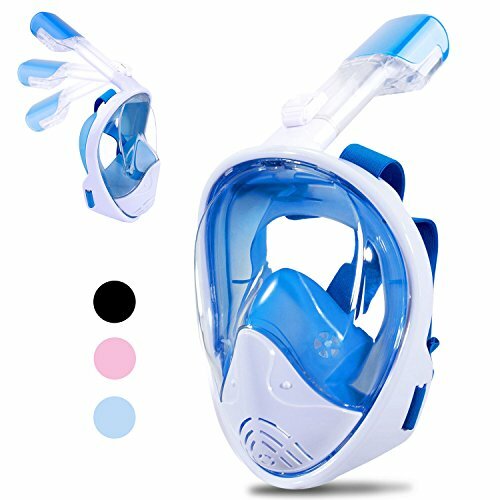 Its hard outer shell, made of top-quality EVA, provides full protection against scratches, impacts, shocks, sunlight, water and dust. The inner mesh pocket acts as storage for small accessories such as power cords. The fixing band helps to keep your Oculus Go safe, especially when on the move. 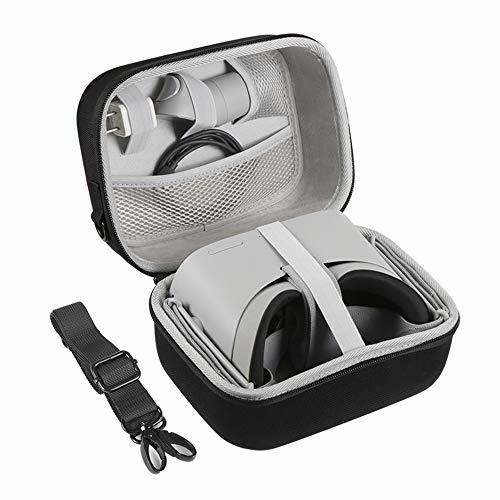 The double zipper design of the oculus go case provides easy access to your headset and accessories. 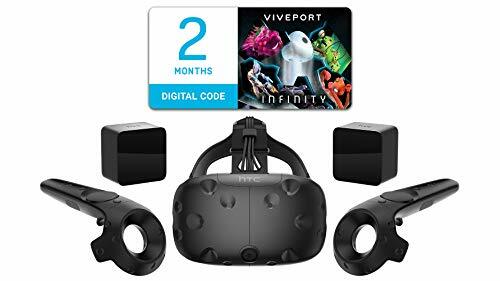 MBstand VR Stand – HTC Vive Pro Stand and Controller Stand. 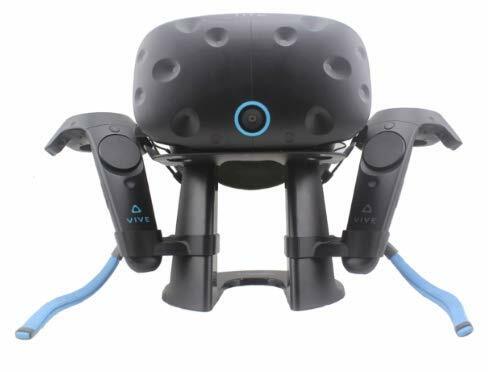 VR Headset Stand for Storage and Display for The HTC Vive. 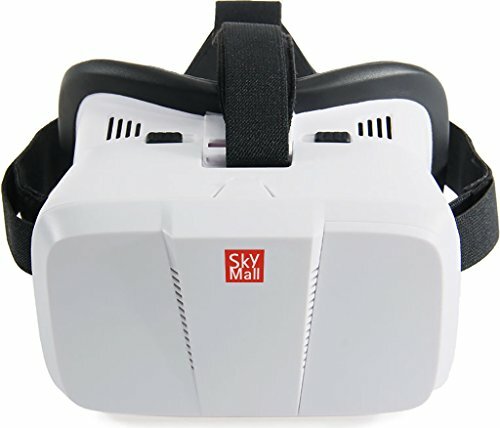 DISPLAY AND STORE VR HEADSET designed for HTC Vive VR game lovers to better display their system. SAFE AND CONVENIENT. 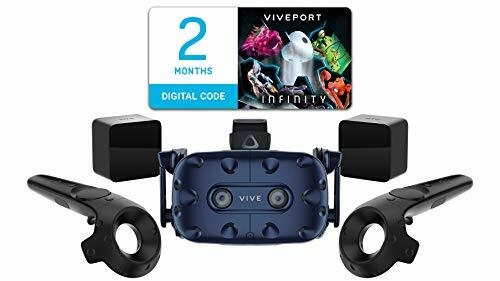 Protect, showcase and display your HTC Vive headset with the most stable, lowest center of gravity and widest stance stand. SAVE SPACE: Showcase mount holder that stores headset and controllers and gives a neat presentation for your HTC Vive. Keeps it organized and ready for play. EASY INSTALLATION: Only 4 steps to assemble the MBstand. 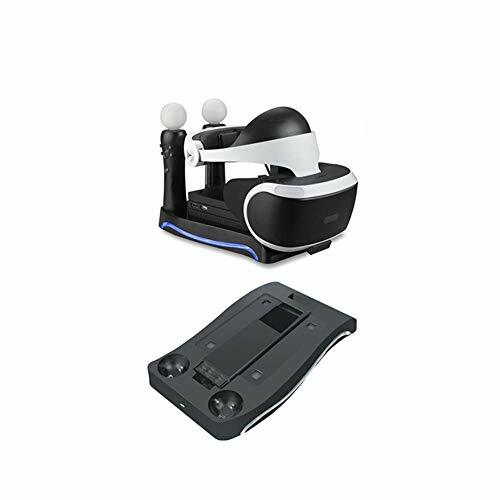 Put your VR Headset and Wireless Controller in the VR Stand to make your desktop neat and spectacular. Includes 1 Stand, 2 Controller Holders, and Manual. 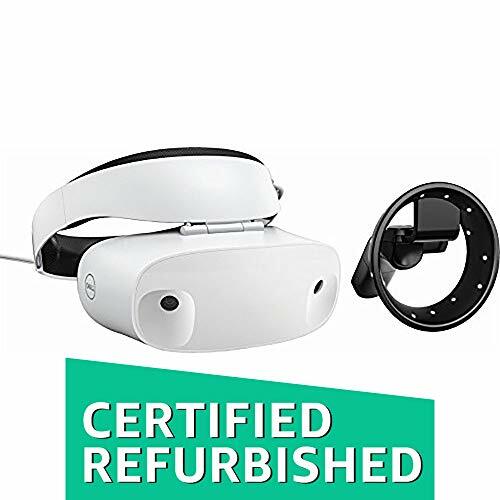 Any mixed reality badge headset is compatible. Any of the windows mixed realitybadged motion controllers are compatible. 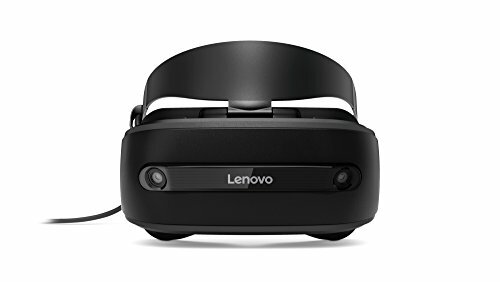 PC- compatible gamepad or mouse/ keyboard will work too.The only mixed reality headset to Feature an integrated microphone array. Built directly into the headset, the array reduces noise so you can communicate clearly and interact with Cortana. 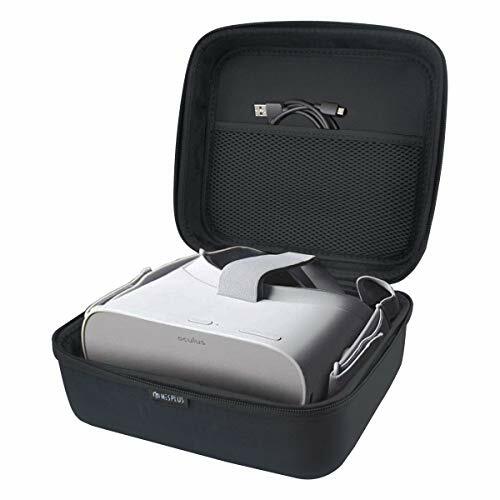 Our case can withstand impacts or sratch, it's semi-waterproof, shockproof, Stylish and Durable Guaranteed to prevent any damage to your Console and its accessories. Hand Strap For keeping your devices safe and handy,Lightweight.Water resistant. Shock resistant. Crush resistant. Our case features a very comfortable handle that allows for easy and convenient portability on the go. Backed by 100% Money back Guarantee, this is totally risk-free buy; CLICK the Orange button to Order Now! STEAM VR 2.0 TRACKING - From seated to standing to full 20' x 20' room-scale. 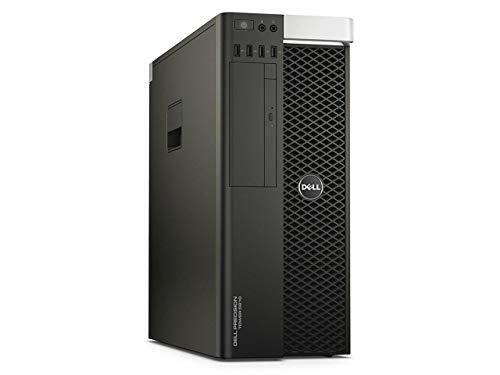 Ideal for multi-user environments for sub-millimeter tracking accuracy. HIGH RESOLUTION DISPLAY - Dual-OLED displays with industry leading resolution of 2880 x 1600 pixels for unparalleled visual fidelity of graphics, text, and textures. 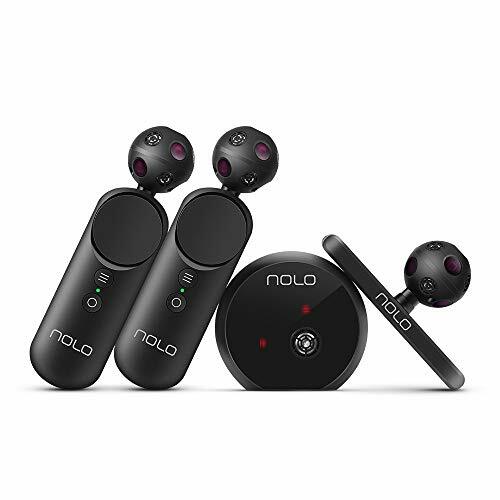 SPATIAL AUDIO WITH NOISE CANCELLATION - hi-res, high impedance headphones, 3D spatial sound with active noise cancellation for an immersive experience without distractions from real-world. 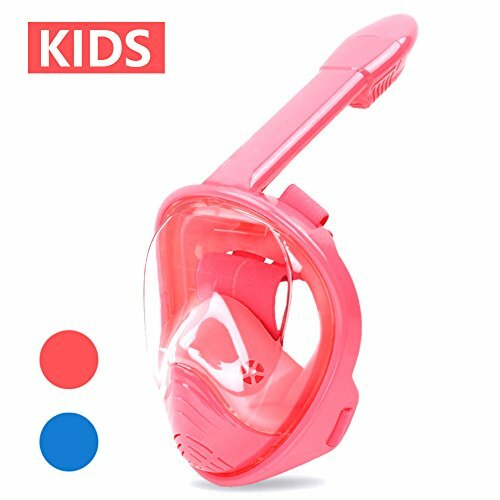 MULTI-USER AND EXTENDED USE - Even weight distribution of the headset, easy on and off, and adjustments for head size, glasses and interpupillary distance (IPD) makes multi-user and extended use easier than ever. 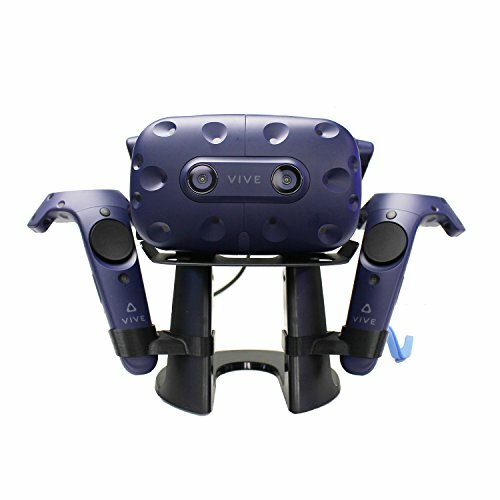 VIVE TRACKER ECOSYSTEM - Expand business use cases by adding real-life objects to VIVE Tracker bringing the object into your virtual simulation. Ideal for motion capture, automotive, aerospace or heavy equipment simulation. 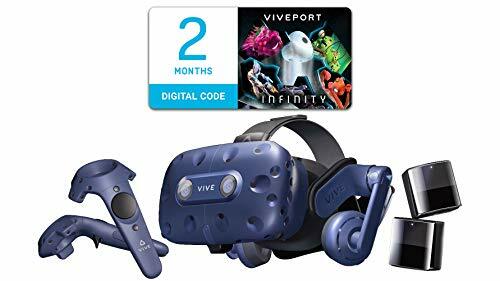 VIVEPORT SUBSCRIPTION INCLUDED - Enjoy up to 10 games during your free trial. 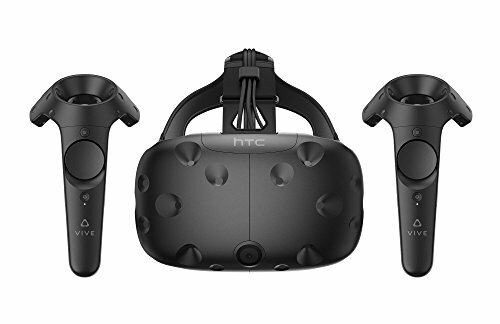 Note: VIVE Pro HMD does not include controllers, base stations or VIVE wireless adapter. RAPID AC CHARGING - Charges up to 5 accessories at the same time, each with individual LED charge indicators. Designed with total controller safety and rapid charging in mind. The VR/ARC is FCC and CE certified and the high-end 5V 3000mA AC adapter is UL certified and has the highest-level VI efficiency rating. 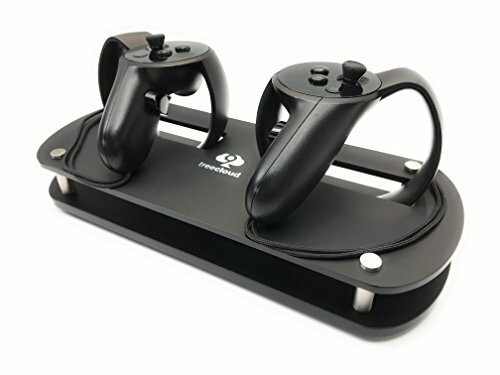 QUICK DOCK CONTROLLER SYSTEM - The micro USB quick docking adapters allow you to place & charge your DualShock 4 controllers with minimal effort and all versions of the Move controllers charge by utilizing two contact points at the bottom of the controllers instead of the USB ports. POWERED BY STEAM VR - Enjoy over 2800 games for SteamVR, plus everything you love about Steam, including new releases, automatic game updates and millions of your closest friends, in VR. 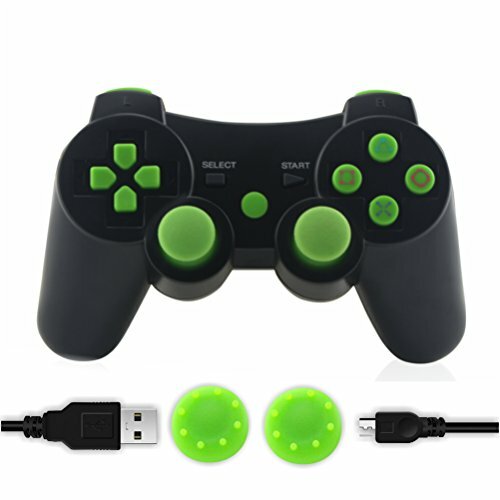 Package included: wireless controllers, charge cable and thumb grips which provide you with the best game experience. DUAL SHOCK RESPONSE: Feel every hit, crash, and explosion with hand-vibrating double shock response. This ps3 controller is equipped with a built-in rechargeable battery. 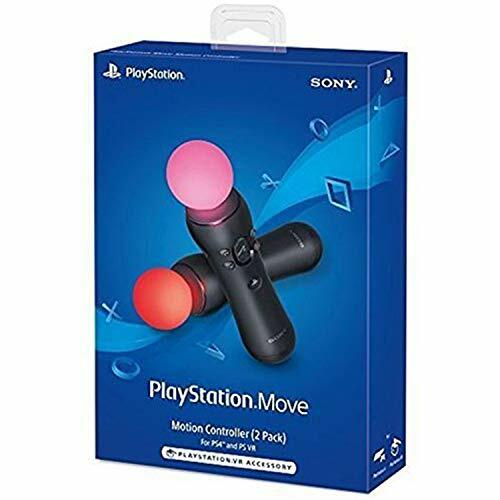 SIX-AXIS: Anticipate a realistic gameplay thanks to the 6 built-in sensors Characters and objects in the game will move and react as you tilt, push and shake the controller. WIRELESS METHOD: With wireless transmission technology, you won't suffer from data loss or signal interference. 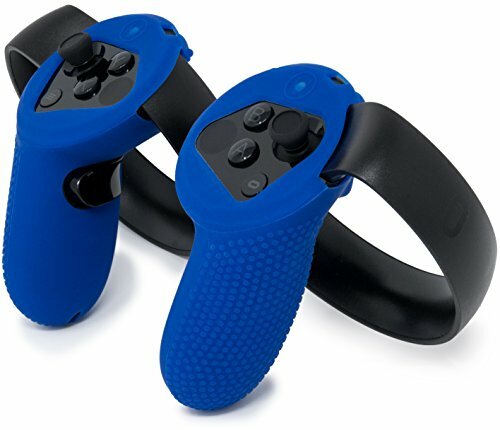 ERGONOMIC DESIGN: This unique PS3 controller is designed with ergonomics, comfortable to hold. 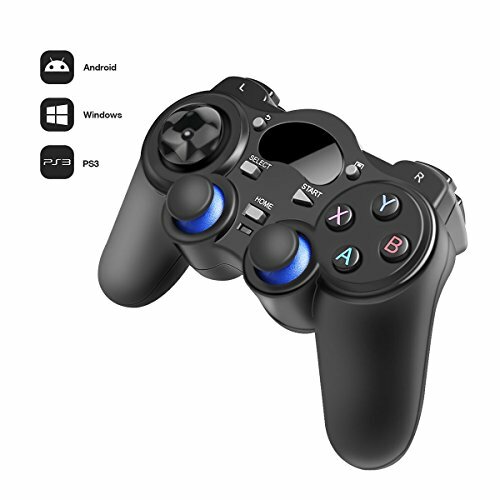 Provide access to all buttons without restricting game play or movement. It's shaped to almost ergonomic perfection for fitting in any gamers'hands.